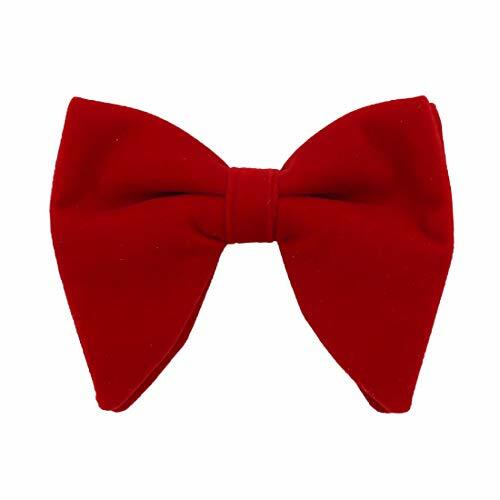 Both style of the bow ties are Adjustable and pre-tied. 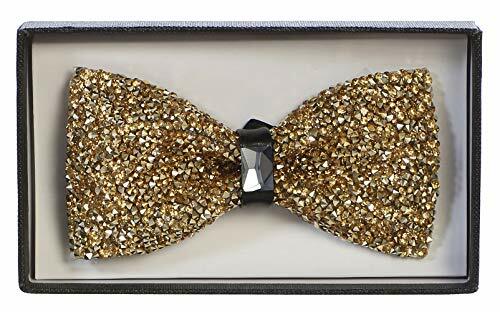 Men bow tie with full rhinestones,shining and luxury. 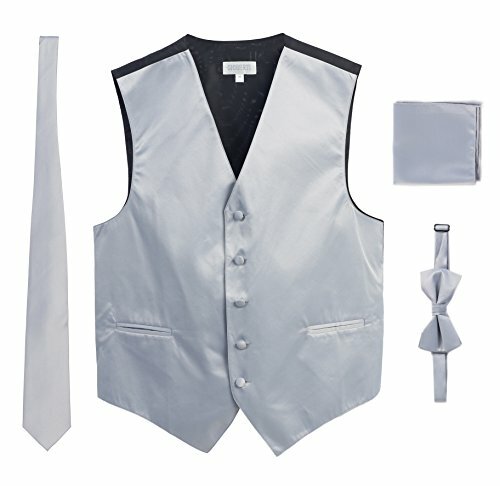 (bow tie only) Men metallic bow tie with matching pocket square set, shining and luxury. IDEAL FOR MANY OCCASIONS. 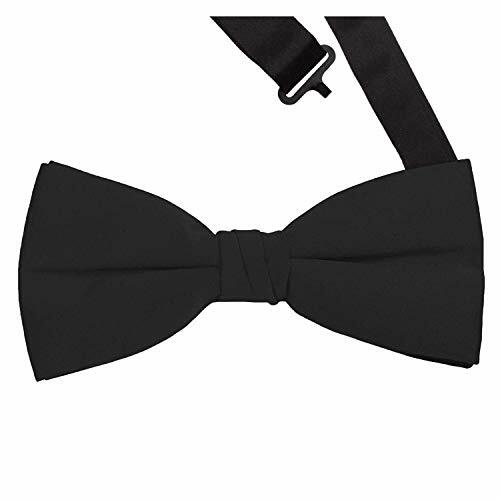 From holiday events, to proms, to weddings, to New Years celebrations and more, this sparkle bow tie is the perfect choice for anyone who really wants their personality and their sense of style to shine. This listing is for a BRAND NEW for two style bow ties Metallic Shiny bow tie with handkerchief set and Rhinestone bow tie only, pre-tied classic style with a strap and clip BowTie.This bowtie has a neckband that goes around the neck with a clip at end to hold it in place.A great formal classical style men's bow tie with a clip for a great accessory to a tuxedo or a suit.Great for wearing to a wedding or any other formal occasion.The high quality polyester ("SILK-feel") both bowties are 3 inches(7.5 cm) wide at the edges and 5 inches (12.5 cm) long. 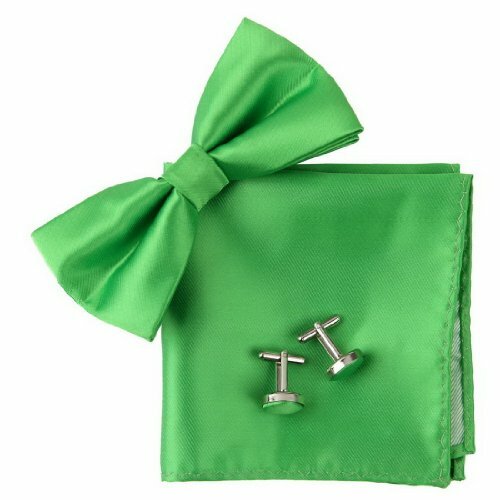 The matching Pocket Square / Hanky is 10 x 10 inches.We have more variety of Silk Neckwear NeckTies and BowTies Hankies in our other listings.Check out our other color Bow Ties and Handkerchiefs. Dress to impress in a complete, cohesive look with this gorgeous dress vest set. 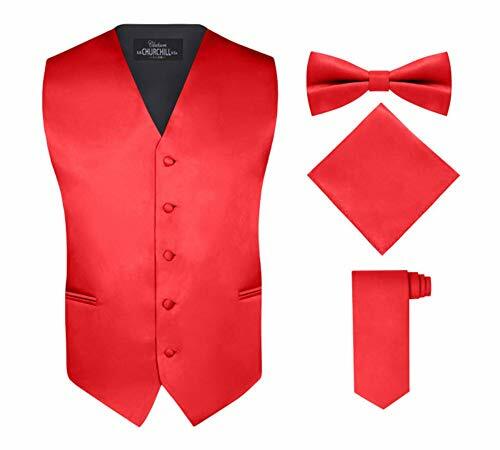 Available in an exceptionally exciting range of colors and featuring a satin finish vest and a matching bow tie, neck tie, and pocket hankie, it's an easy way to accessorize for any formal occasion. 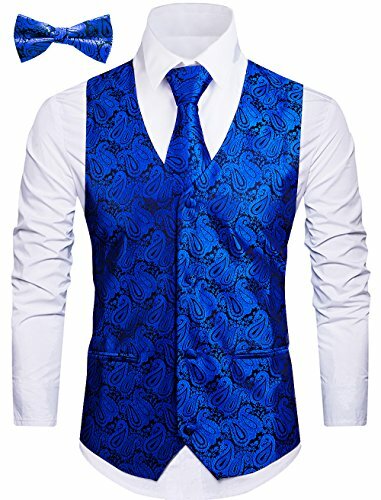 A perfect choice for wearing to a once-in-a-lifetime event or including as part of a regular, day-to-day outfit, this vest and its accessories are super mixable and matchable, leaving you with endless opportunities to fall in love with the way it always seems to make you look and feel your very best. 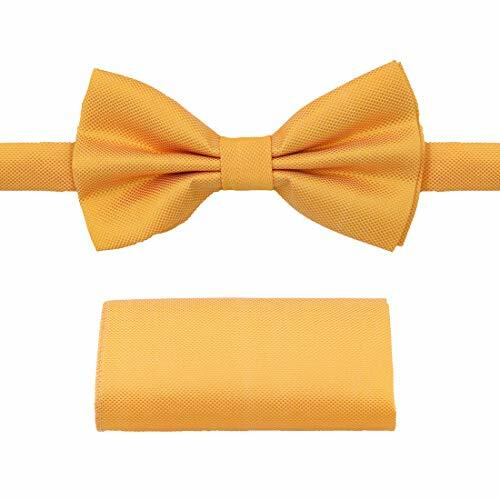 Beautiful, one of the kind cummerbund and bow tie set! 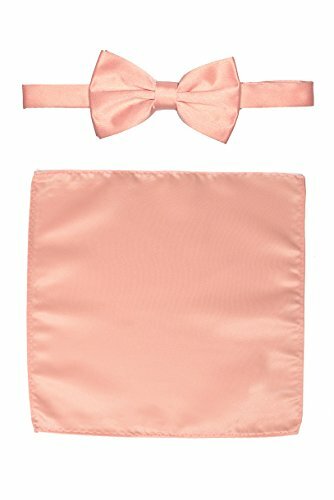 Cummerbund fits a 28 to 50 inch waist, stretches out to 50 inches around the waist, Bowtie measures 2.5 in wide and 4.5 in long, adjusts from 10 in to 19.5 in around the neck.